Last week wasn't a good one for the UFC lightweight division. 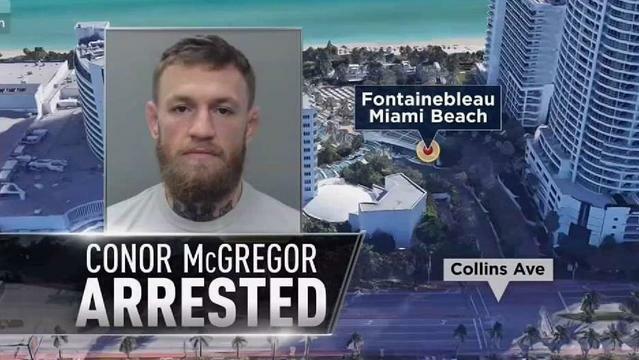 Earlier in the week, TMZ broke the news that Conor McGregor was arrested by police in Miami after allegedly grabbing a fan's phone and smashing it on the ground. The video was released later in the week for all to see, another embarrassing moment involving one of the UFC's biggest cash cows allegedly breaking the law. It remains to be seen what will happen to McGregor, but given the slap on the wrist he received for the bus attack before UFC 223, it's likely he'll settle with the victim in a civil suit and move on from this. 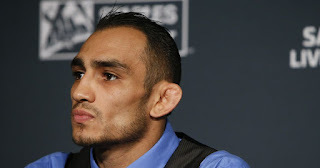 Tony Ferguson, though, might not be so lucky. 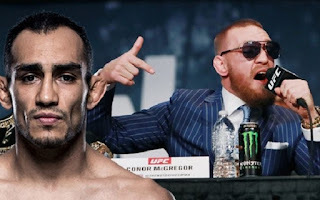 Last week, reports surfaced on social media that the former interim lightweight champion was involved in a police investigation. At first, most explained the reports away as just another rumor, but as the week went on, it became obvious something serious was going down when UFC President Dana White told fans on social media that Ferguson had some serious personal issues going on. MMAjunkie got the scoop, and late in the week reported that Ferguson was involved in a domestic violence case with his wife that saw him hit with a restraining order. Like McGregor, it remains to be seen what will happen with Ferguson, but it casts a black eye on the sport regardless. The UFC, and MMA in general, has always had problems with its athletes and the law. After all, with a sport that involves two combatants inflicting violence and dealing brain damage one on another, perhaps it shouldn't surprise us when fighters aren't exactly law-abiding citizens. Then again, it's 2019, and the UFC is on ESPN now. 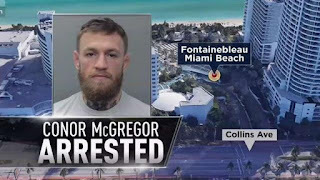 When two of the most popular fighters in the sport are involved in negative headlines with police involvement in the same week, it's not a good thing for the sport, and that's what happened last week when McGregor and Ferguson's stories came out. Instead of finding out their next fights, we instead had to hear these negative stories about them. The UFC hasn't made a public comment about either situation yet, which is disappointing. To go along with the backlash to McGregor and Ferguson's stories, former UFC Welterweight Champion and Hall of Famer Matt Hughes has also recently been in the news with domestic violence allegations of his own. Obviously Hughes is no longer an active fighter and the UFC currently has no direct ties to him other than him being a long-time champion for the organization. But even if the UFC doesn't have any legal ties to Hughes, most associate him with the promotion, and once again what's going on with Hughes doesn't reflect well on the UFC. In general, the last few weeks have reflected poorly on the UFC from a public relations perspective. Obviously, Dana White is not to blame for what's happening, but the UFC should release official statements about it. At this point, you hope that Ferguson can get the help he needs, because reading about the alleged issues he's dealing with is truly frightening. As for McGregor, clearly he thinks he's above the law based on the incidents he's dealt with outside the cage in the past year. These are two of the UFC's best fighters and seeing them in the news for all the wrong reasons is not a good thing. Let's hope both these stories have happy endings, but considering how many sad endings we've seen in MMA, who knows what's going to happen. The sport misses McGregor and Ferguson's contributions inside of the Octagon, but clearly their fights outside the Octagon are the more pressing matters at this moment in time.